Prof. Mahalakshmi C.H. has Bachelors degree in Commerce and Masters degree in Bussiness Administration and qualified NET. 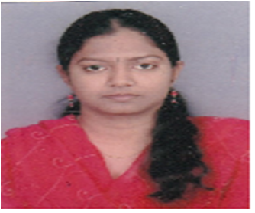 She has earlier worked in REVA Institute of Science & Management and M.S. Engineering College, Bangalore. She also has worked at ANZ as Financial Analyst.